﻿﻿AP Plastics is a North American sustainable plasticwares manufacturer. Founded by senior manufacturing and marketing professionals, we create innovative design & custom solutions. Our products are made from 100% Recycled, Reprocessed or Upcycled plastics. Our plastics are 100% Recyclable. We are committed to manufacturing in North America to reduce our global footprint and support our economy. We source and promote products & materials that minimize the environmental impact of both production and distribution. We take every effort to be clean, efficient and sustainable. The latest example of our fresh, creative thinking - an accessories system designed to display Hotel Guest Room Brewers and Single Cups. Learn more. We take a systems approach to product innovation. 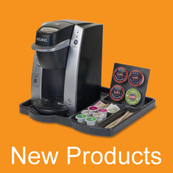 Need a re-think of your existing products? 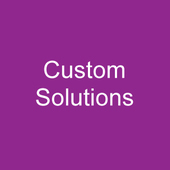 Have a new product that needs a custom, sustainable solution? Let our design & development team solve your issues or jump on that new market opportunity! We use only 100% Recycled, Reprocessed or Upcycled Plastic in all our products. Our packaging is printed using vegetable-based inks. 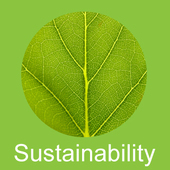 Have a particular sustainability requirement? Contact us. Copyright © 2019 AP Plastics Inc.